Understanding the future capabilities of video surveillance systems is extremely important! Recently a credit union in British Columbia implemented a March Networks enterprise-wide video surveillance system. This measure was taken to take advantage of the potential security functions of the future. In fact, the credit union found that after installing the March Networks system, it was a lot easier for them to upgrade their video surveillance system when necessary. As a result, the credit union found a massive benefit to installing video surveillance measures that allowed for easy upgrades as necessary. 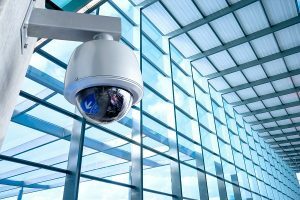 We can learn a lot about the benefit of March Networks as it has an immense impact on video surveillance systems. In fact, the March Networks IP cameras are able to provide extremely high-quality visuals and resolution. Furthermore, these systems are better able to compensate for direct sunlight allowing for more versatile uses from schools to government buildings. Every single bank needs trusty and reliable security measures. This includes quality security cameras that can capture a high-resolution image easily and seamlessly. This efficiency is a requirement because of the amount of personal data stored in bank facilities. As a result, this credit union was able to reap the rewards that the video surveillance brought by March Networks provided. In addition, the credit union was able to benefit from the specific banking system protection offered by March Networks. With their March Networks Searchlight For Banking Software, the credit union could benefit from gaining detailed information that could help their fraud investigators determine critical issues that may help a variety of ongoing investigations. Another benefit that the credit union noticed with March Networks was the capability of integrating video solutions with access control systems. By doing so, the credit union was able to get an alert if someone tried to use an access card to swipe themselves into a secured area and got declined. This entry was posted on Wednesday, April 12th, 2017 at 1:25 pm. Both comments and pings are currently closed.